Off the beaten track, El Salmo beach is a quiet stretch ideal for long walks and exploring the coastline. 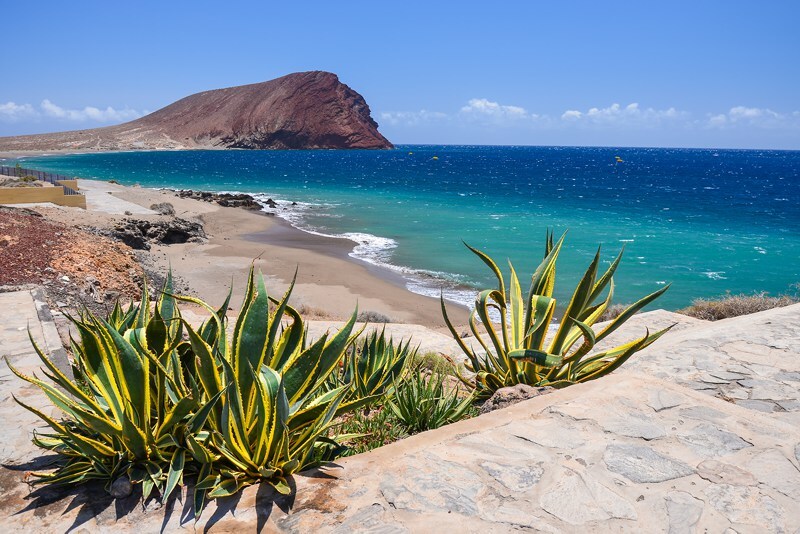 Around twenty minutes away from Costa Calma, the rocky beach is surrounded by hills and with no cafes or water sports available, it is somewhere to relax and enjoy the encompassing nature. 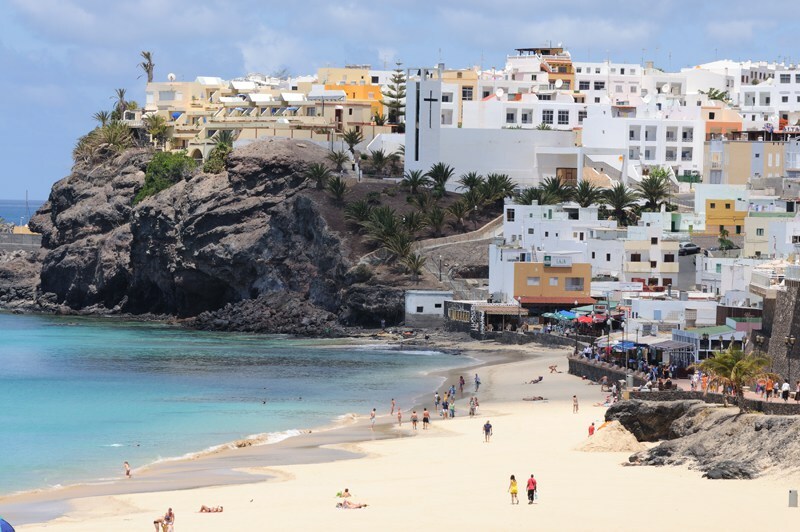 Situated just outside of Santa Cruz, Playa de las Teresitas is a large stretch of golden white sandy beach popular with the locals and not too overcrowded. Perfect for families and small children, the crystal clear waters are shallow enough to play around in and although the beach isn’t natural, the sand was imported all the way from the Saraha Desert. Fancy sunbathing here? Take a look at our villas in Tenerife. 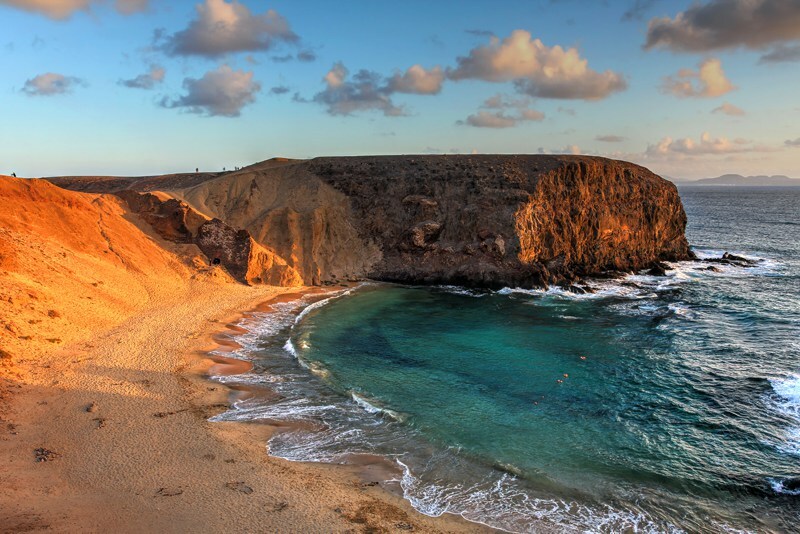 With calm turquoise waters, white sands and splendid snorkelling conditions, the cove of Playa de Papagayo is very popular in the South of Lanzarote. For a small fee you can drive to the beach along a small gravel road or alternatively cycle or walk from the nearby town of Playa Blanca. 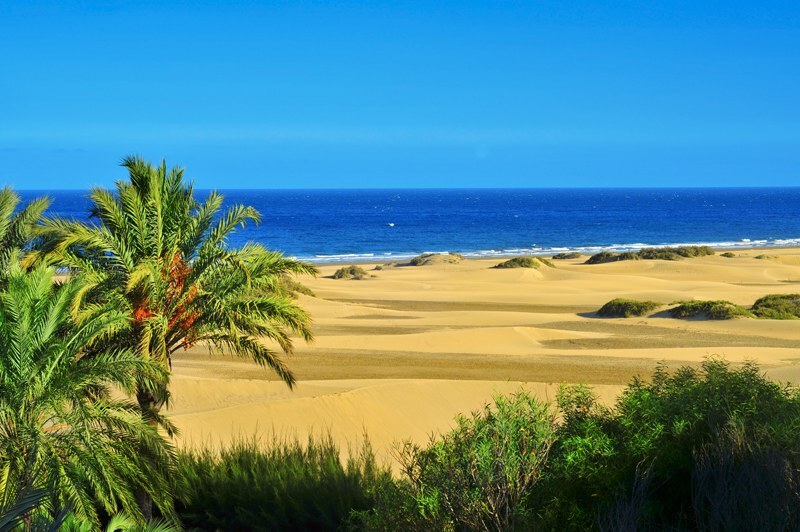 Located on the south coast of Gran Canaria, Dunas de Maspalomas cover over two thousand hectares of land and seventeen kilometres of coastline. Here you’ll find magnificent natural sand dunes, vibrant blue sea and an age-old lighthouse to explore. Hold onto your hats – it can be rather windy at this beach which makes it ideal for water sports but it’s also a natural and undiscovered beauty. 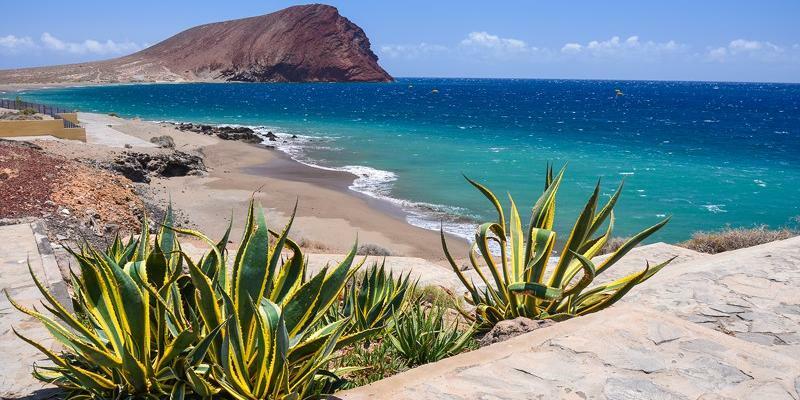 Take a walk from El Medeno along the waterfront and if you’re feeling adventurous you can hike Montana Roja to watch the breath-taking sunset. Once a small fishing village, Morro Jable is now a busier resort where the golden beach and sparkling blue waters attract many tourists wishing to unwind and visit the quaint harbour in the west of the town. The water around the harbour is full of gorgeous fish including stingrays and there are plenty of local restaurants and bars to try out too. Check out the villas and apartments in Fuerteventura. 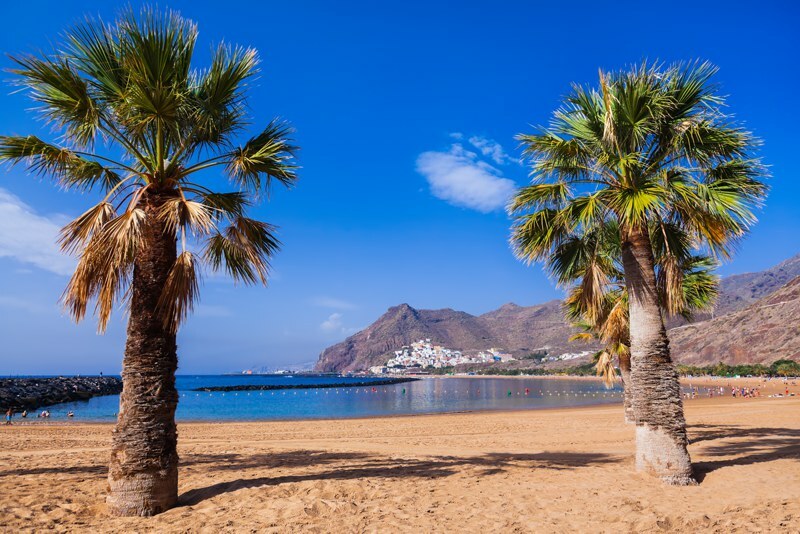 We're ready to pack our flip flops and head out to these beaches in the Canary Islands...are you? See our range of villas in the Canary Islands. 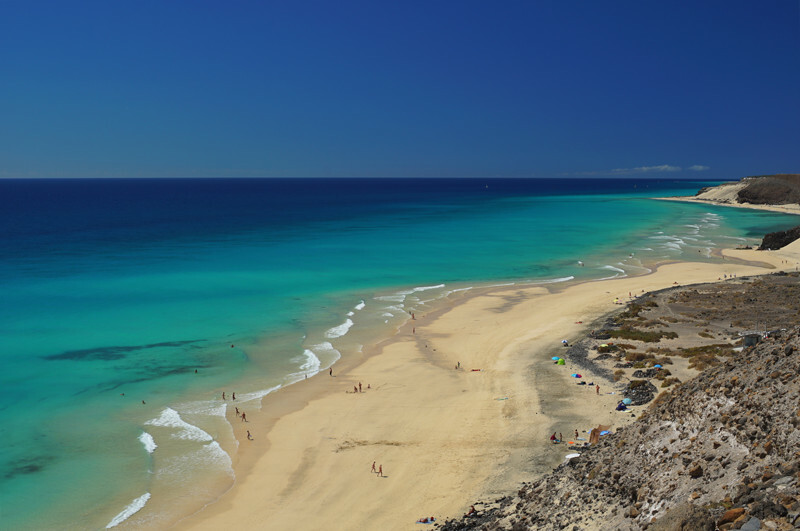 Which glorious beaches can you recommend in the Canaries?